Wildlife managers have confirmed that a record number of Mexican gray wolves have been reported dead this year, fueling concerns about the decades-long effort to return the endangered predator to the American Southwest. ALBUQUERQUE – Wildlife managers have confirmed a record number of Mexican gray wolves have been reported dead this year, fueling concerns about the decades-long effort to return the endangered predator to the southwestern U.S.
Five wolves were found dead in New Mexico in November, bringing the total for the year to 17. That marks the most wolves killed in any single year since the reintroduction effort began in 1998, and it’s one of the deadliest months in the program’s history. The U.S. Fish and Wildlife Service is investigating but hasn’t said how the animals died. The dead wolves include a female pup, two male wolves and the leaders of two packs – one that roams the mountainous area along the Arizona-New Mexico border and another that lives in the north-central portion of the Gila National Forest in southwestern New Mexico. Members of the wolf reintroduction field team pointed to the larger population of wolves in the wild in 2018, saying the percentage of mortalities this year is actually less than in some past years when there were fewer wolves roaming parts of Arizona and New Mexico. The lower percentage for 2018 indicates more of the wild population is surviving, which they say is a good sign. All this comes as ranchers continue to report conflicts. In November, federal authorities documented six instances in which wolves killed cattle, and there were two nuisance reports. Sixty-six livestock kills have been documented in New Mexico and 31 in Arizona so far this year. The costly effort to return Mexican wolves to the American Southwest and Mexico has been fraught with frustration, as ranchers push back over the livestock kills and environmentalists warn of returning to the brink of extinction if more wolves aren’t released into the wild. Earlier this month, the U.S. Forest Service revoked the grazing permit of a rancher who trapped and killed a wolf in 2015. Craig Thiessen pleaded guilty in May to knowingly taking threatened wildlife. He said he knew he caught the wolf because it had a radio collar, but he disputed killing it. Michael Robinson with the Center for Biological Diversity questioned whether wildlife managers should be more guarded about information related to the wolves’ locations. Environmentalists have long complained about telemetry receivers being loaned to ranchers to monitor the whereabouts of collared wolves. The Arizona Game and Fish Department is among the agencies that partner with the Fish and Wildlife Service. Spokesman Bill Andres said Thursday the state agency believes that efforts to increase social acceptance and reintroduction of the animals into their historic range in Mexico are two keys to the recovery of the species. 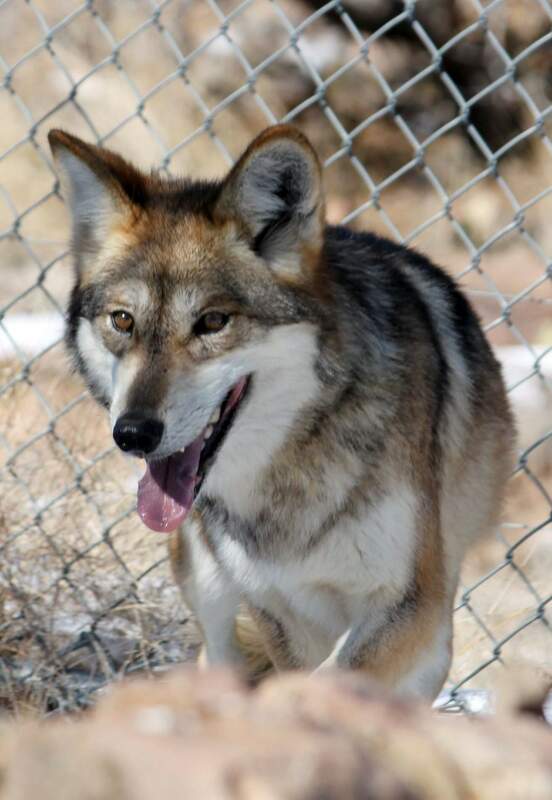 The Mexican wolf once roamed parts of Arizona, New Mexico, Texas and Mexico. As the region became settled, wolves came into conflict with livestock. As a result of private, state and federal extermination campaigns, the wolf was all but eliminated from the U.S. and Mexico by the 1970s. As part of the effort to bring back the predators, federal officials in 1998 released three packs of wolves in eastern Arizona. In the months following that release, five of the 11 wolves were poached, and the remaining animals had to be captured and paired with new mates before being released again. The wild population has struggled to gain significant ground, and it only reached a high of 114 wolves earlier this year.